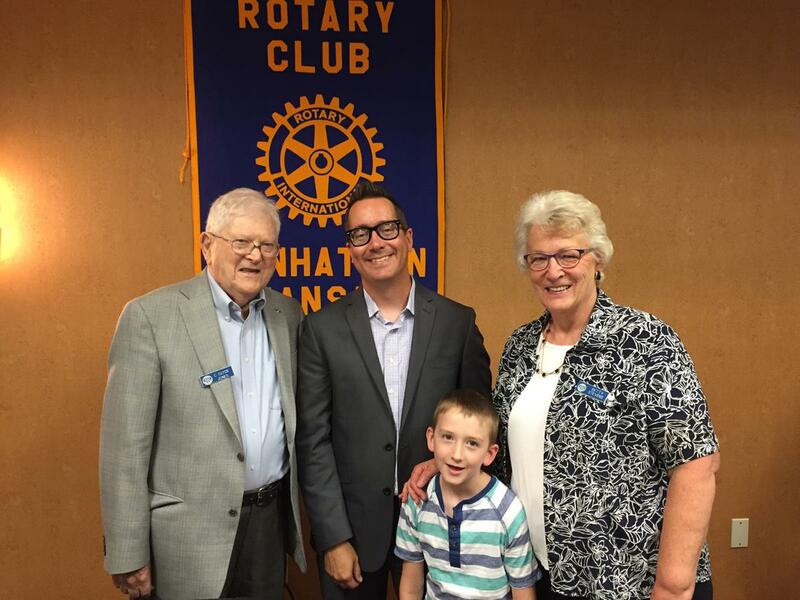 C. Clyde Jones introduced the newest member to the Manhattan Rotary Club, Corey Reeves. Corey is the General Manager of the Manhattan Broadcasting Company. Welcome to the club, Corey!